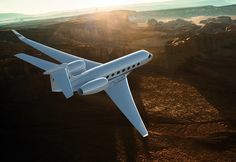 SAVANNAH, Georgia, May 18, 2015 — Gulfstream Aerospace Corp. recently announced that its newest flagship, the Gulfstream G650ER, has connected three cities in record time. On April 23, the aircraft departed London Luton Airport and touched down at Hong Kong International Airport, flying 5,588 nautical miles/10,349 kilometers at an average speed of Mach 0.90 for 10 hours and 27 minutes. The aircraft then departed Hong Kong on April 25 and flew 5,905 nm/10,936 km at an average speed of Mach 0.90, landing at King County International Airport/Boeing Field in Seattle to complete the flight in 10 hours and 25 minutes. Both times, the aircraft landed with fuel in excess of National Business Aviation Association’s instrument flight rules reserves. In addition to these recent records, the G650ER set two speed records during flight testing in 2014 when it flew from Los Angeles to Melbourne, Australia, at an average speed of Mach 0.86, and then from Hong Kong to Teterboro, New Jersey, at an average speed of Mach 0.865. In February, the aircraft circled the globe with just one stop and also completed the farthest flight in its history, traveling 8,000 nm/14,816 km from Singapore to Las Vegas nonstop. The G650ER cabin shares the same features and amenities as its sister ship, the G650, and provides passengers the healthiest and most comfortable cabin experience. The aircraft has the largest purpose-built business-jet cabin and offers passengers wider seats, more aisle room, 16 panoramic windows, the lowest cabin altitude of any business jet and the ability to control the cabin entertainment, temperature and lighting with a smart device. Passengers can stay connected with Internet, phone and on-board printing capabilities.